California’s AB 2863 online-poker bill will indeed include a bad-actor provision designed to bar PokerStars from participating as the bill comes up for likely full Assembly vote next week. Amendments adding the bad-actor language, using a UIGEA-related 2006 cutoff date, were added to the bill on a voice vote during AB 2863’s required third Assembly reading yesterday, triggering a heated response from Stars parent Amaya Gaming and a coalition of Stars’ waiting business partners in the state. Several sources issued statements following the news that the Pechanga / Agua Caliente-led trial coalition had succeeded in forcing the PokerStars-blocking language into AB 2863, and that primary bill sponsors, CA State Reps. Adam Gray and Reginal Jones-Sawyer, had acquiesced to the inclusion as part of a last ditch effort to get the online-poker measure passed in 2016. PokerStars and its representatives have issued the most pointed responses, strongly suggesting litigation will ensue in CA should AB 2863 be passed and signed into law in its present form. The bad-actor language in AB 2863 would block PokerStars from possible entry for an additional five years following passage. Such an exclusion would also represent a crippling blow to Amaya’s hopes to expand PokerStars’s re-entry throughout a future US online poker market. Such a re-entry appears to be a vital component of Amaya’s long-term growth plans, given the debt load of the company. Momentum toward online poker legislation in California has taken a huge step backward with the last-minute introduction of poison pill language that serves the interests of those who have obstructed similar consumer protection legislation for years. The new bill ignores the progress that had been made through public hearings and good faith negotiations and adds language agreed to in backroom deals with those opposed to advancing online poker legislation. Unfortunately, the bill is now doomed to fail and this means millions of Californians will continue to be at risk while playing on offshore, illegal online sites. 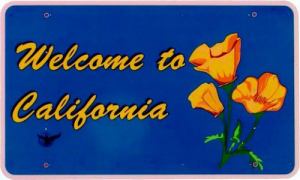 By injecting suitability standards that are best determined by regulatory experts at the California Division of Gambling Control this amended legislation picks winners and losers in the state. Moreover, the bill is not likely pass Constitutional muster as it applies penalties for alleged crimes without any application of due process. Shortly after, the Amaya-centered coalition that also includes the Morongo Band of Mission Indians, the San Manuel Band of Mission Indians, and California’s three largest card clubs – Commerce Casino, Hawaiian Gardens Casino and Bicycle Casino — issued a statement urging a “No” vote when AB 2863 is voted on. On behalf of the Morongo Band of Mission Indians, San Manuel Band of Mission Indians, California’s three largest card clubs – Commerce Casino, Hawaiian Gardens Casino and Bicycle Casino – and Amaya Inc., owner of PokerStars, we are writing to express our strong opposition to AB 2863 (Gray) as recently amended. As now drafted, the bill arbitrarily and unfairly bars one operator from competing with the supporters of these amendments in the IPoker market indefinitely. AB 2863 also raises constitutional questions that will likely result in litigation and prevent implementation of crucial consumer protections while California forgoes hundreds of millions of dollars in revenues for schools, public safety and other priorities. As early and strong supporters of AB 2863, who have negotiated all along in good faith and who have championed the right of the State to regulate this industry and protect consumers, we are disappointed at this turn of events. Rather than creating tribal unity, these drastic amendments have driven tribes further apart. 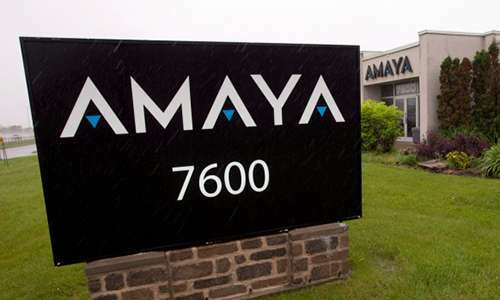 These amendments target a single company, Amaya, with provisions that would prevent the company from ever securing a license. It is our understanding amendments were presented to members as imposing a ‘five year penalty box’ when, in reality, these provisions would effectively create a lifetime ban for Amaya. The competitors behind these amendments know Amaya is a partner with the undersigned card rooms and tribes opposed to these amendments and have been candid about trying to prevent Amaya from securing licensure in California and otherwise competing with them. The world’s foremost Constitutional Law expert and scholar, Professor Laurence Tribe of Harvard, previously noted when these kinds of amendments were first being proposed that, if adopted, they would constitute “trial by legislature;” in other words, a bill of attainder absolutely prohibited under the Constitution. California should not be deprived of sound iPoker regulation and healthy competition and the revenues to the State it will bring. With the constitutional questions raised by this bill, California consumers will continue to play online poker on unregulated off-shore sites that lack consumer protections or age verification, and California will receive no revenue. Consumers will suffer and minors will continue to have access to offshore online gambling because AB 2863 will ultimately perpetuate the status quo, leaving California players vulnerable to fraud and other crimes without recourse while simultaneously denying the state much-needed revenue. We urge you to oppose. An “aye” vote on this measure will support misinformation and a dangerous anticompetitive precedent and atmosphere. For these reasons we respectfully request a “no” vote. The Poker Players Alliance [PPA], which enjoys a close relationship with PokerStars and Amaya, also issued a statement condemning the amendments added to AB 2863. The PPA’s statement focuses on PokerStars’ advanced technology and brand recognition as consumer advocacy arguments, even though there are other inclusions in AB 2863 — separate from the bad-actor issue — that are arguably anti-consumer. Washington, D.C. (August 18, 2016) – John A. Pappas, executive director for the Poker Players Alliance (PPA), the leading poker grassroots advocacy group with 1.2 million members nationwide and more than 90,000 members in California, today issued the following statement urging lawmakers to reject proposed amendments to AB 2863, a bill to license and regulate online poker. These proposed amendments would restrict competition and leave players dissatisfied. These amendments would also make AB 2863 less likely to pass. “We are deeply disappointed that Chairman Adam Gray has chosen to play politics at the behest of special interests. The proposed amendments threaten to doom the iPoker legislation for which we and our members have advocated for years. Since the Internet poker debate began in California nearly ten years ago, PPA has been the only consistent voice urging lawmakers to license and regulate Internet poker. During this time, our message remained consistent: protect consumers and promote competition. Unfortunately, some of Chairman Gray’s proposed amendments undermine this principle. A last-minute insertion of so-called “bad actor” amendments would, in reality, just be an anti-competitive measure that would single out Amaya/PokerStars and their California tribal and cardroom partners from participating in the regulated marketplace. And, while some are purporting that this is a temporary five-year ban, an examination of the proposed amendments reveal that it is actually a lifetime ban. This raises serious constitutional issues and calls into question whether a bill with this language would ever be enacted, assuming it could even pass over what is sure to be stiff opposition. Most importantly, these amendments threaten to prolong consumers’ wait for regulated online poker in California. Also, the purpose of these amendments itself it flawed. Exclusion of Amaya/PokerStars would be detrimental for many reasons. California consumers would be left without one of the most trusted and popular online poker brands in the world. For years, California players have awaited the return of PokerStars and its proven technology. Their presence in markets increases competition, raising the bar for all operators to offer consumer-driven products. This was seen most recently in New Jersey. These amendments, were they to become law, would also mean that the operator with the most experience in protecting online consumers – from blocking underage access and mitigating problem gambling to collusion prevention and anti-money laundering measures – would be permanently forced onto the sidelines. This would be a loss not only for the consumer, but for the entire state of California. PPA does not believe anyone should be entitled to a license to operate Internet poker in California. We feel a license to operate is a privilege that must be earned through a vigorous vetting process and that questions of suitability should be left to independent California state gaming regulators. Legislating a “bad actor” provision would strip regulators of that independent role. A source with knowledge of the ongoing legislative negotiations, speaking on condition of anonymity, averred that there was a whiff of desperation in Gray’s flipping of position on the bad-actor issue. The source termed the latest amendments as a “half-court shot at the end of the game” to try to get some sort of online-poker bill passed. “Chairman Gray and his team handed his drafting pen to the Pechanga coalition,” the source added. The same source also expressed strong doubt as to whether Gray and the Pechanga lobbying coalition actually had the votes needed to move the bill forward. Whether or not those votes exist will be seen on Monday. On the flip side, Pechanga tribal chairman Mark Macarro waxed warm about the bad-actor amendment being grafted into AB 2863. In a brief statement sent to several California media outlets, Macarro said, “We are working in good-faith with Mr. Gray to resolve this decade-long debate. A five-year ‘penalty box’ for foreign operators that took illegal bets from 2006 to 2011 is critical. Flushdraw will update the California online-poker legislative saga as events warrant.